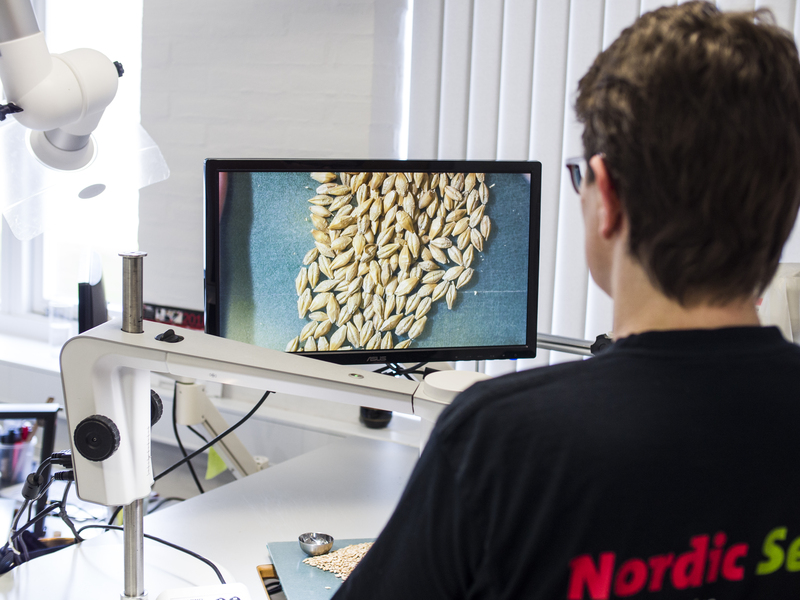 The digital microscope basically provides you with a magnified and digital live view of your seed or grain sample on a monitor, but this is only the fundamentals of the new generation of TAGARNO microscopes. The tangible return of using this kind of equipment as a part of your analysis work is the ability to perform a higher number of analyses and create a better and well documented result not to mention time saved in the process. This is partly due to the improved collaboration to ensure the quality, and quickly generate high quality documentation as well as frequently updating the microscope to fit with your current and future needs. Not underestimating the fact that the operator will have less sick days and thereby be not only a happier employee but also experience increased efficiency due to the ergonomic benefits of using a digital microscope such as the new TAGARNO TREND. As a business it is naturally important to always look out for smarter ways of doing things, and by digitalizing processes the advantages of adding new technology can be overwhelming. Being able to properly view and handle the small seeds and grains will inevitably mean increased quality and productivity, vouching for more and better analysis and work processes within the agriculture sector. 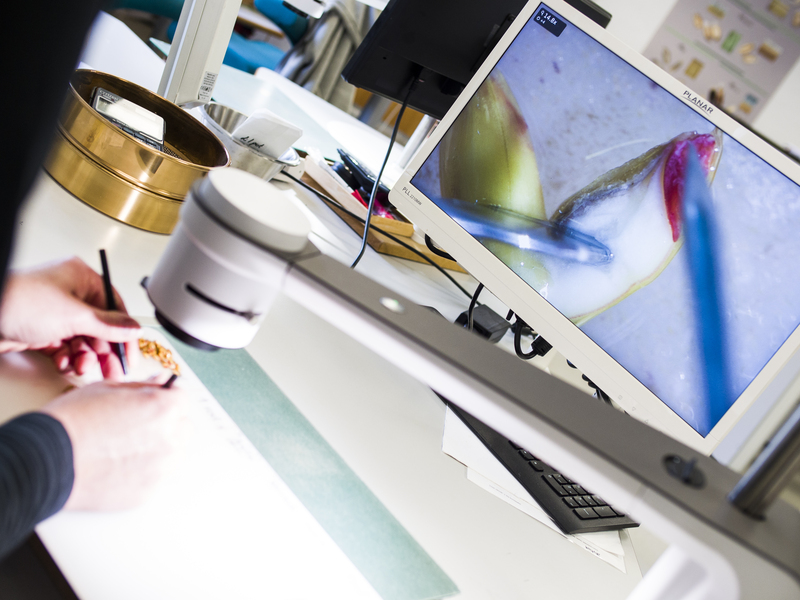 A digital microscope can be a valuable tool to create these digitalized changes. And with the introduction of the new generation of digital systems, you get the ability to regularly update the microscope with new features to fit with future needs. This means the end of investing in expensive equipment which is updated the next day and in with agile technology with the ability to adapt the technology of tomorrow. Also, the digital microscope combines the product quality of a traditional (often expensive) optical microscope with the affordability and user friendliness of cheaper alternative solutions. Why is it important to document your work? Agriculture labs often need to provide documentation to their customers. It is very important that it is simple and quick for the operator to capture images, and also that the quality of the images is high. With a digital microscope you are able to effortlessly create, save, and share sharp images to use as documentation. Capturing images requires only a single click and you will have the documentation of the purity of your seed and grain samples readily at hand to share with your customers, coworkers, other departments, and your supply chain. Multi-viewer advantages allow more than one person to view the magnified object at the same time. These are ideal conditions for sparring between operators, training of new operators, and for supervision sessions. Enhanced dialogue and cooperation bring new and dynamic ways of working and performing quality control. It makes it easier to cooperate, when for example, checking the germination capacity. Why use a digital microscope? The magnification capabilities, updatable interface, and the fact that the images can be easily saved and shared, make the digital microscope a very attractive solution for a wide range of agriculture industries, particularly with different identification tasks, such as whenever foreign varieties of seeds are discovered in a seed sample, you can easily identify exactly what type it is when zooming in, or rapidly identify mites or fungus in your seed sample. When it comes to breeding new seed varieties, the clear image and possibility of zooming in to see the new seed variety close up make it easier to identify the visual differences between new seed varieties. This tool is also highly viable when performing identification processes or developing high quality seed treatment recipes, so when zooming in on the coated seeds, you can view the surface of the seed up close and easily check the distribution and the spreading of the film coating to evaluate and document the quality of the application process.